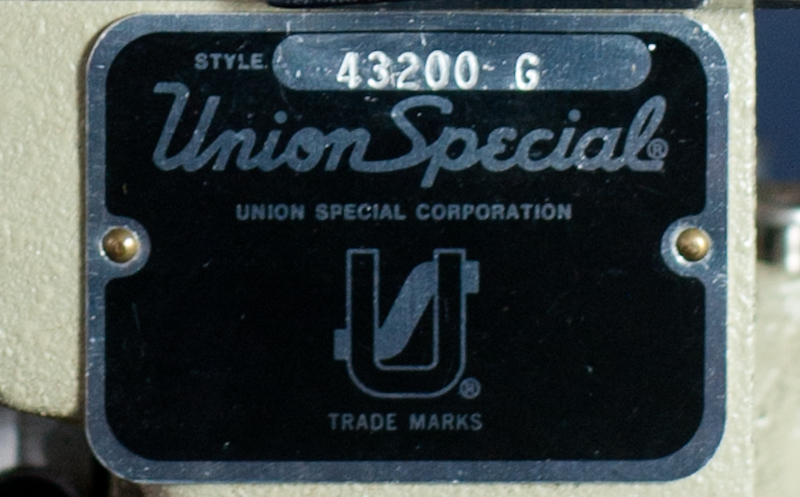 Tales of a Deadstock Union Special 43200G | A Continuous Lean. The denim loving guys at Self Edge sent out an email this morning about their recently acquired almost-new Union Special 43200G chainstich machine. The lore of these Union Specials and their coveted status among denim-nerds is the stuff of legend – which makes the below story even more remarkable. No word as to how much coin the Self Edge guys paid for this thing (or where it came from, which is a better question), but I’m guessing it’s somewhere between a Submariner and a Royal Oak. 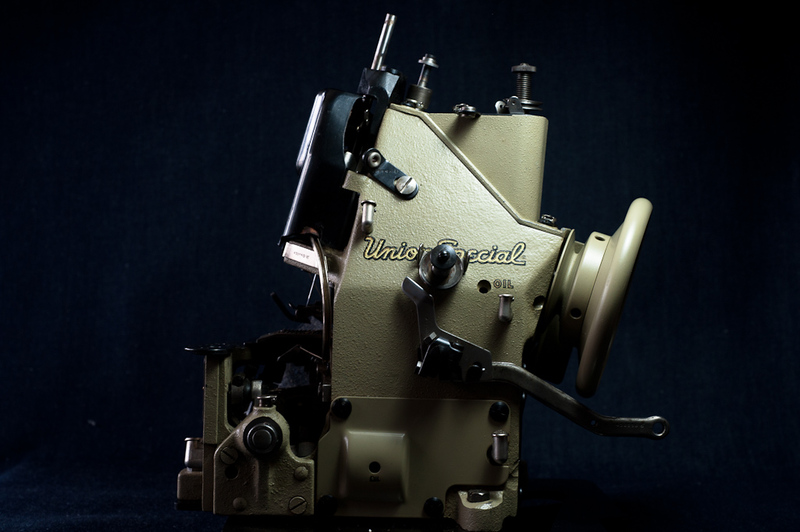 If there is one machine in the current world of vintage style jeans that has the mystique of a fairly tale it’s the Union Special 43200G chainstitching machine. This is the machine the Japanese first scoured the world for starting in the 1980’s, they wanted them to place in their factories which reproduced vintage styles of American jeans from the 1950’s and before. It was a good twenty years until the rest of the world realized what was happening in Japan, by that time most of the 43200G machines had been bought up by the Japanese factories, brands, and retailers to put in their stores for in-store hemming. When we opened Self Edge San Francisco five years ago it took us a good six months to find a chainstitching machine that worked properly and wasn’t missing essential parts. Two years ago Self Edge New York went through an even harder time finding one of these machines, the story continued a year ago with Self Edge Los Angeles’ quest for a machine. Now all three of our stores have these machines for in-house hemming services. Needless to say these machines are becoming extremely difficult to find and when found the prices they’re demanding are high for a retail store to pay, especially in the condition they’re coming in. Recently on eBay a 43200G machine sold for $5000 that looked like as if it had been dropped off a cliff, machines in this shape will never work properly for long and will need constant service to keep them hemming in the way they were intended to. 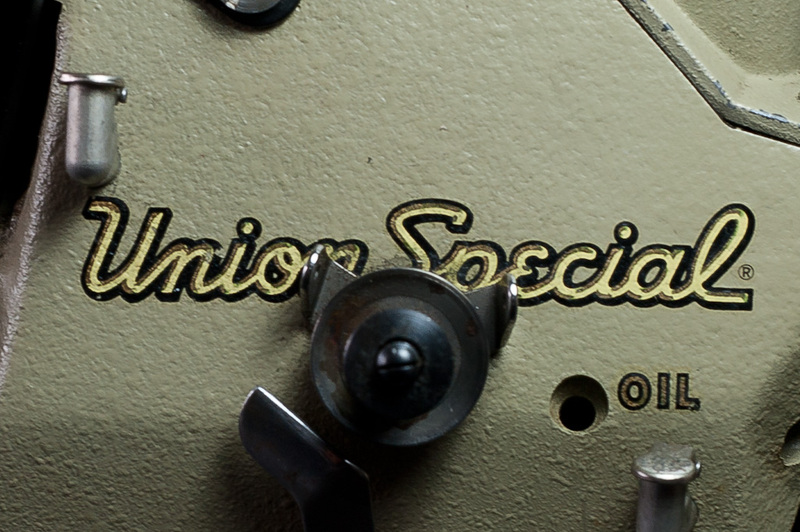 We have just acquired what we feel to be one of the rarest Union Special 43200G machines in existence, a new one. One that has never been used and still has the sample piece of denim hanging out of it’s teeth which they test the machine at the factory with before strapping it into a small crate. We went back and forth on whether or not we should be spending a small fortune on a machine that would essentially be redundant considering we already have enough chainstitching machines for our stores. We couldn’t resist and honestly bought it purely for the reason of wanting to fondle the thing in person, photos weren’t enough. We wanted to hear it’s purr as it ripped through hems faster and smoother than any other machine we’ve seen. Photo _01 is gorgeous. What a great find for Self Edge. Sometimes there’s things that can’t necessarily be justified monetarily that you absolutely have to have and in my book, it’s A OK to shell out for it. Case in point: see above. Man, that is a real beauty. Whatever they paid for it, they got their money’s worth. As someone who uses a straight-stitch all-metal machine from the 1950s, I know that they simply don’t make them like they used to. Congrats to Self Edge for the find. And thanks Michael for appreciating the things that matter! Also reminds me I’ve got a pair waiting to be taken in. Thumbs up to that guy over at Self Edge. I imagine the purchase involved a handsome amount, but I’m sure it would pay off in the long run. I just have to ask, why is it that modern versions of everything is far inferior compared to the way they are? Question: If there is such demand for these machines, why are they so rare? Response to Mina…It would seem that with the advancement in technology, the quality of good should also improve but truth be told (this is no conspiracy theory) since the late 1950’s/ early1960’s most companies have purposefully made products with a much shorter lifespan. Especially, when we consider clothing, home goods, and appliances there is a 6month shelf life before actual/perceived obsolescence takes over – the product either falls apart or the packaging is changed significantly enough to force the mind to think the old product is no longer good. It’s the basis of our current consumer economics, without it GDP does not increase as quickly. If all our products lasted forever what would be the incentive to buy new things? Response to Blaster…The answer to your question is in the question itself…Consider this deduction…if everyone wants a product and there is a finite number of that product (in this case because they are not made anymore) then it is by default RARE. Which is why they are expensive…Demand increasing while supply stays stagnant (Event decreasing with some of these machines going out of commission) equals an increase in the price. I love this kind of old machinery! I swear I can smell that machine just looking at the pictures. My sailrite smells like a oily skunk sometimes. I love it. I heard somewhere that Union Special bulldozed its factory and converted the land to tulip cultivation. Question: If there is high demand and they’re not made anymore, why doesn’t someone start making them again? Just because they are expensive, does not mean that reproducing them would be profitable! Plus, while their is demand, it is quite limited … unless these machines could be build quite cheaply, they are not going to appear in every local tailor/seamstress arsenal. In addition, if they were that cheap, 1) would they be up to the standard; and 2) would all the hipster shop owners still want them? One more question: Is a chainstitch actually stronger/better than a regular stitch you’d get on a low-end pair of Levi’s? Or is this just a visual or roping issue? Blaster. 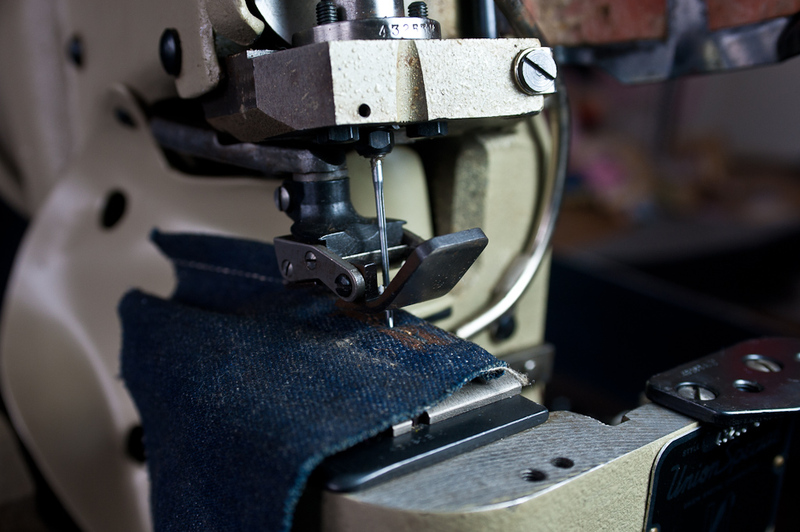 It’s not stronger or better, it’s just how hems should be on vintage or reproduction jeans, period. Question – How much did they pay the time traveler to go back and get one of these new? 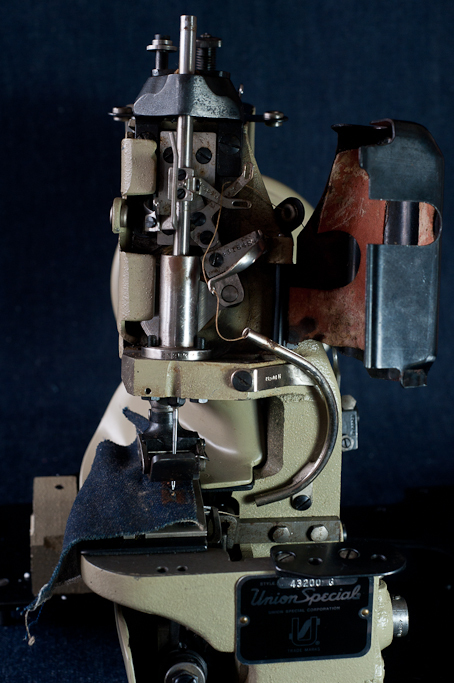 A chain stitching machine in that condition is rarer that rare. Infact that may be the only one in existence! I just dropped off my pair of Raleigh Denims there on Saturday to get hemmed. I also had my Roy’s done there. Blaster – a good example would be the book Take Ivy, which was going for insane amounts on Ebay because it was so rare, and then Powerhouse Books reprinted it, and I just saw a skid of the books at their store for $2 each, they can’t give them away. High narrow demand does not always justify reproduction. Hey–here is your chance to get one for your crib. What is really sad about this is the fact the Japanese …not us …America …caught on to the realization that quality can sell …at least not soon enough to find machines that will make a quality product. That out there in the sea of “walmart shoppers” there are some who yearn for *quality* and a “Made in the USA” label inside and are willing to pay for it. Unfortunately we in this country are addicted to “CHEAP” at all costs and third world manufacturing provides that so we end up with crap. There was a time when America made things, good things, quality things that lasted; the Japanese know that, they’ve got it figured out. The real question still is, if this machine has any relevance other than being sort of an artefact. I do like it a lot- but this machine being sold for these ridiculously high prices merely for its rareness and people getting high on “vintage”, just gives me creeps. So when I have a pair of jeans I might send it to a store who uses these machines, and if I’d ever profesionally produce jeans I might buy it because from a business stand point it may absolutely make sense in terms of quality. I don’t think to many people will ever notice or appreciate though. But this whole legend about it, this -admittedly limited to jeans nerds- hype annoys me. I like some old school stuff too, but it’s so hyped now, everyone and there mother is trying to make a dime of it. I like quality, I like mechanical honest machines so I guess I like the Union Special. But quality and ruggedness of this piece of metal becomes absurd when people hype it just because “vintage”. Did I mention I love old mechanical tools? They tried replicating the mechanics but the closest thing to a Union now is a Kansai Special. It’s a popular machine among the newer Japanese denim companies although it’s still ages apart.